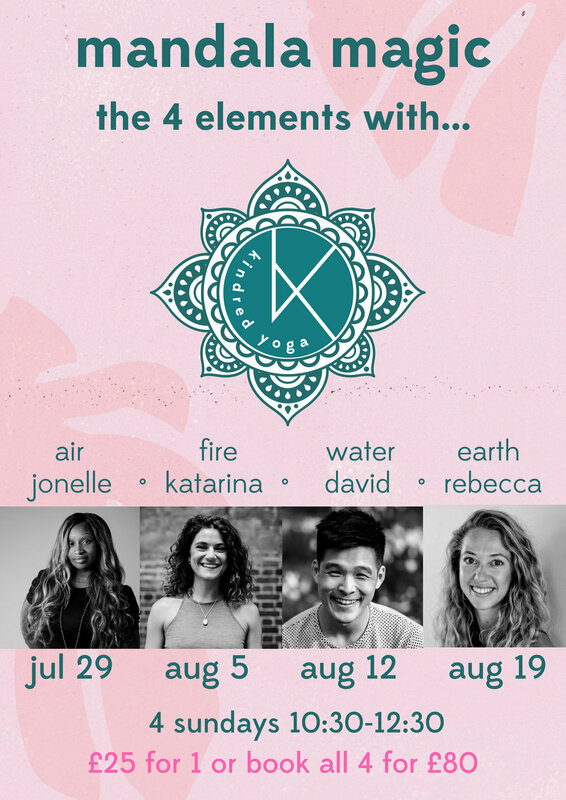 Explore the 4 elements through the magical movement of mandala vinyasa. A playful and dynamic practice, moving 360 degrees around the mat, softly flowing through strong poses and inversions to the rhythm of the breath. The sequences are designed to target specific areas of the body corresponding to the element, and related chakra. The class will begin and close and with softer postures to compliment the subtle and physical body. A creative vinyasa practice to satisfy and challenge the body and mind! Twisting, stretching the flanks and working with inversions and arm balances; igniting the Agni (internal fire) in our body, strengthening our core and activating Manipura chakra, our source of willpower and transformation. the opening and closing of the practice will be accompanied with the healing sounds of the crystal singing bowls played by Christine Charlotte.